Hi! New Year, New Pattern! 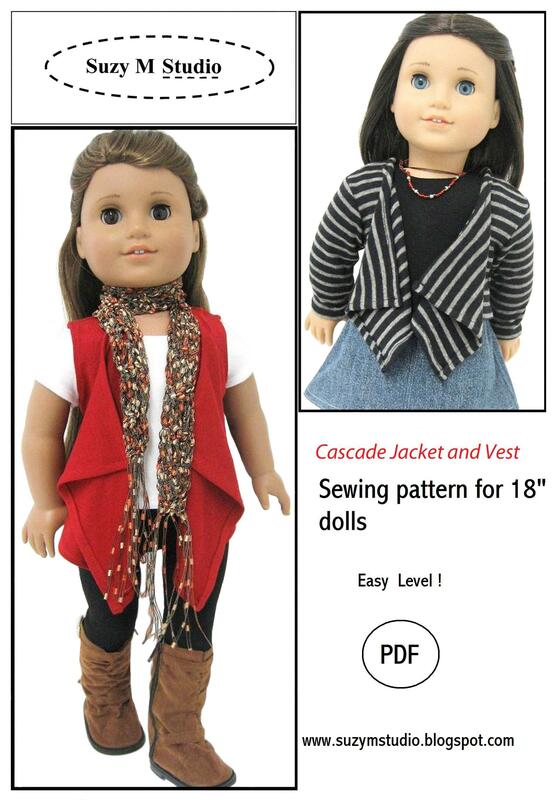 Cascade Jacket and Vest for Slim 18 inch Dolls. Stylish and very easy to make. Suitable for cotton knit fabric. This Pattern fits Kidz and Cats and Journey Girl Dolls. It’s available on my sites. Any question, please contatc me. Happy sewing! Thank you for visiting! Suzy. Cascade Jacket and Vest – PDF Sewing Pattern. Cascade Jacket and Vest sewing pattern. Suitable for knit cotton fabrics. Fits AGD or 18 inch similar dolls. Easy to make! To purchase click on “Craftsy Pattern Store” on the side border. Any question, please contact me.